History at Vanderbilt encompasses interests as boundless as the past we all share. Everything has a history --- from ethnic groups and environment, to nation-states and regions of the world, to entertainment and sexuality. Many undergraduates combine their interest in history with economics, foreign language, medicine, music, politics, psychology, or sociology. In addition to the standard history major, students can choose the newly created Law, History, and Society major. It is designed for those students who are particularly interested in how law and legal regimes worked in the past, and how they are connected to broader social, cultural, and economic patterns. It represents an excellent choice for those interested in careers in law, policy, or government. All of our undergraduate majors learn to think with rigor, write with clarity, and analyze complex evidence with confidence. Working with award-winning professors in seminars and lecture courses, they acquire skills critical to career success in the 21st-century global economy, while studying a subject in which they excel. History courses are taught as seminars, introductory survey and topics courses, and specialized lecture or discussion courses. Some recent examples: World War II; Western Civilization to 1700; Europe 1900-1945; History of Christian Traditions; Modern Latin America; Brazilian Civilization; China from Empire to People’s Republic; Shakespeare’s Histories and History; History of Medicine; The Scientific Revolution; Poverty, Economy, and Society in Sub-Saharan Africa; India and the Indian Ocean; Arab Spring; The U.S. and the Cold War; The Darwinian Revolution. A three-semester program leads to the Undergraduate Honors Thesis in History and a B.A. with Honors or Highest Honors in History. Qualifying students work with individual professors and through special seminars critique each other’s work. Graduates of the program have gone on to successful careers in law, medicine, business, teaching, and university academics. Robert Yee, “The Economics of Empire: Investor Relations, Dividend Policies, and the Internal Administration of the British East India Company, 1765-1773.” Received Highest Honors and the 2017 Dewey Grantham Award. Mr. Yee served as the Editor-in-Chief of the Vanderbilt Historical Review. Danielle Jessup Beaujon, "‘Coming Home:’ Repatriation the Bouches-du-Rhône, 1962-1970." Awarded Highest Honors and the 2015 Dewey Grantham Award for best honors thesis. In addition, Ms. Beaujon won the 2015 Founder’s Medal for the College of Arts and Sciences, Vanderbilt’s highest undergraduate honor. Helen Li, “Culture Card: The Beijing Olympics and the Politics of Mega-Events.” Awarded Highest Honors and the 2013 Dewey Grantham Award for best honors thesis. Mallory Martin Hope, "Year of Discord: French-U.S. Relations, April 1973 – June 1974." (Highest Honors, 2015). Sandra Jensen, “Curiosities on the Cumberland: Early Nineteenth-Century Museums in Nashville, Tennessee.” Awarded Highest Honors and the 2012 Dewey Grantham Award for the best honors thesis. 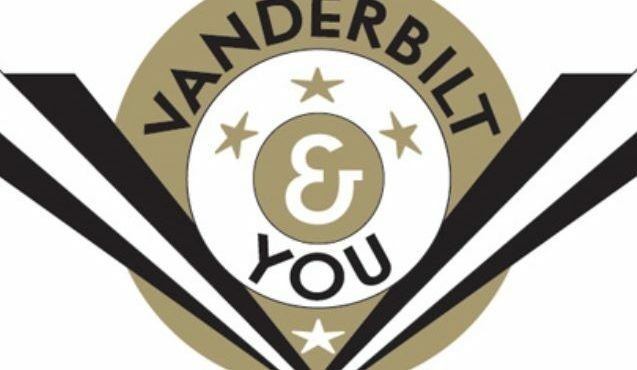 A joint History and Economics major gives students access to two of Vanderbilt’s strongest faculties. History majors can acquire accreditation in secondary education at Vanderbilt’s nationally distinguished Peabody College. Independent study courses allow time to read and write on a topic of interest with a professor. Numerous study-abroad programs let majors gain an international perspective. An internship program gives degree credit for history-related work experience at the Belle Meade Plantation. History majors often follow their professors to the many interdisciplinary programs where they also teach: American Studies, Asian Studies, European Studies, Jewish Studies, Latin American Studies, and Women’s and Gender Studies. “I love history, but my parents tell me I can’t make a living at it.” We hear this comment more frequently than any other. Only a small handful of history majors go on to graduate school in history. The large majority, as is true throughout the College of Arts and Science, enter professional schools (business, law, medicine, public policy, social work) and careers in both the public and private sectors. Leaders throughout the United States are intensifying their call for university graduates with the generalist skills and broad horizons necessary to work in a shifting, increasingly global society. History majors at Vanderbilt study change. They understand how a past became a present. They also acquire the intellectual talents to read, write, reason, and speak at levels of accomplishment that make them attractive candidates for professional and managerial careers in the future. The History faculty sets the standard for teaching excellence at Vanderbilt. In the last decade, many of the department’s faculty have received formal recognition for outstanding achievement in the classroom. All nationally and internationally recognized scholars, 43 full-time History professors are committed to teaching in ways that both challenge and interest undergraduates. The Department has concentrations of faculty who study the ancient, medieval, early modern and modern histories of North America, Europe, Latin America, Asia, Africa, and the Middle East. Clusters of scholars study culture, economics, ideas, identity, gender, medicine, memory, politics and government policy, culture, religion, science and technology, social groups, and urban life. A description of individual faculty members and their teaching and research interests can be found at the department website.